The new school year for SDC has officially begun. Between June 1st and June 5th, our 51 new basic course students got to know our school, our staff, our teachers, our coordinator and each other during their orientation. The orientation included a fresher’s welcome party which the Advanced Course students attended as well. Orientation is important for SDC as our students come from a variety of backgrounds. There are students from different ethnic groups, religions and areas. 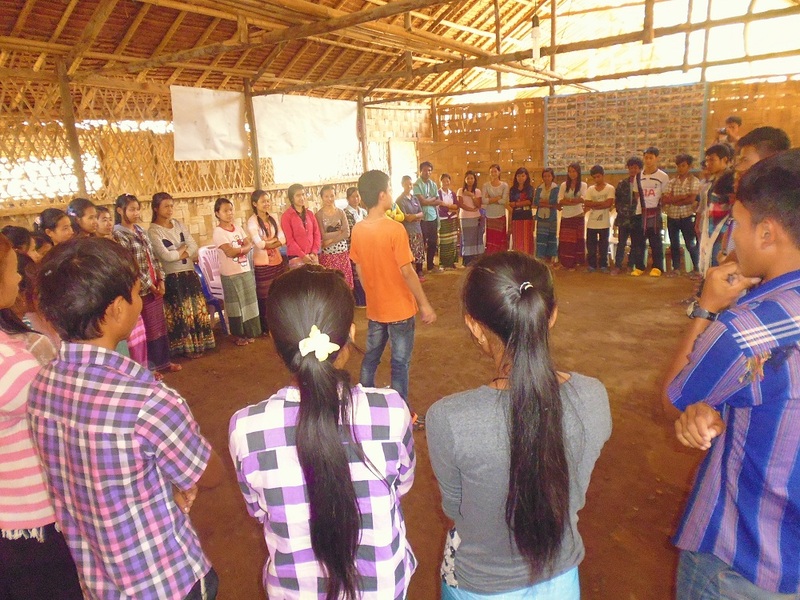 This year, we have students from the ethnic groups of Kayah, Shan and Kayan. There are also Animists, Buddhists and various denominations of Christians represented within the students. Our week long orientation provides these students with the perfect opportunity to meet and get to know each other before the school year officially begins. This year’s orientation included a number of activities. The students participated in; introductions; river of life; explanations of school rules and regulations; electing monitors for the students; providing duties to groups; talking about SDC’s vision, mission and objectives; introducing the basic course subjects; and playing some games. We also held a fresher’s welcome ceremony. Our main activity for our orientation is the river of life. This activity allows students to share about their life experience. Each student will tell the others the story of their life. This is why we call the activity, river of life. Some of the students told of tough experiences in their life and some of the readings were very emotional. Following this, we held a very successful fresher’s welcome party. Basic course students got the opportunity to get to know each other in a more informal setting and also to meet their peers on the Advanced Course. The students prepared their own songs and dances to present at the ceremony. Afterwards, they were able to participate in karaoke and also continue dancing with their new classmates. The final section of our orientation was for meeting our teachers. 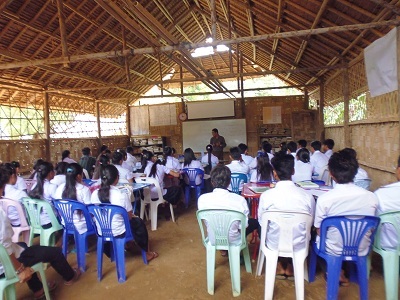 This included an introduction to the subjects that we will provide at the school as well as their importance. 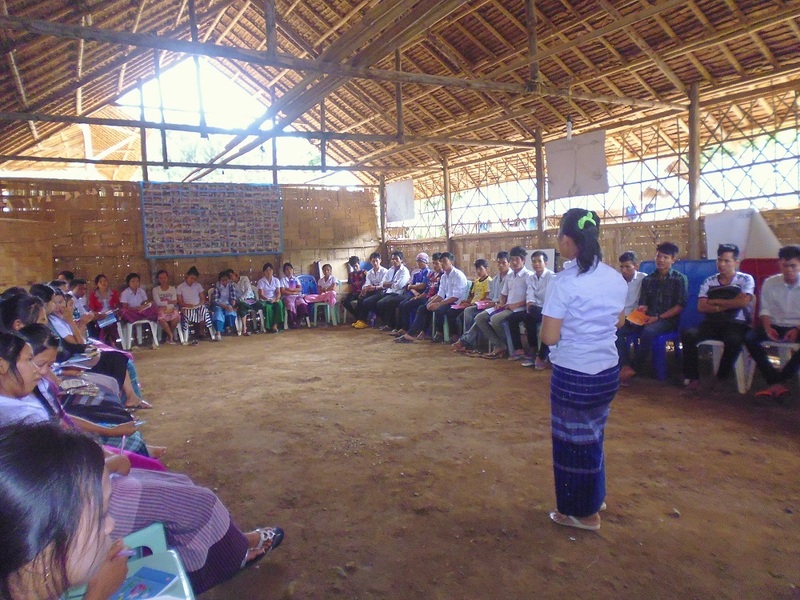 To end their orientation, students participated in a meeting with the School Coordinator, Aung Sun Myint. This meeting gave students the opportunity to ask questions about the school and Aung Sun Myint’s own experience serving for his community. After successfully completing our orientation, the new students were ready to begin their classes. Their first subjects are rule of law, environment and human rights. These subjects will provide the foundations for our students to have a successful learning experience and build up their knowledge at our SDC School.